The bar itself measures 1/4" x 1" and is made of 20 gauge thick sterling. 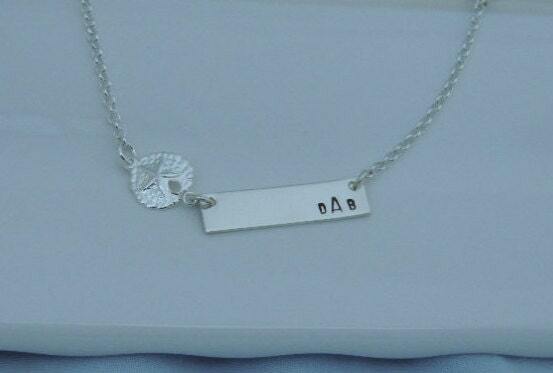 The necklace is hand stamped with your choice of monogram or initials. Choose from monogram with larger center initial or even a single initial. 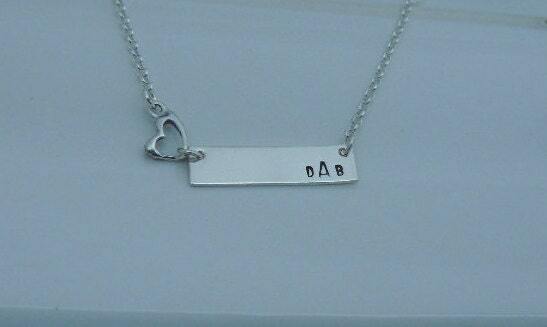 *The initials will be stamped off to the side of the necklace (as pictured). If you would like the initials stamped in another location on the bar, please leave me a comment at checkout. 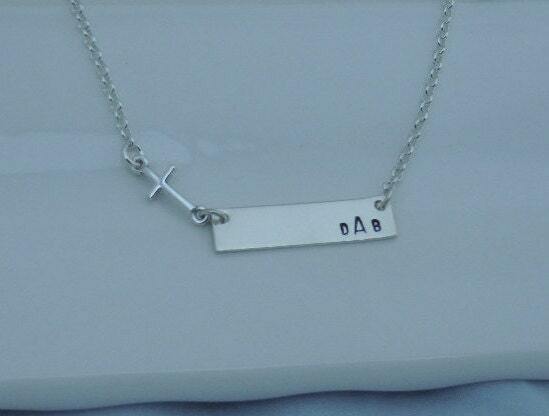 Also included with the necklace is your choice of sterling silver side charm. 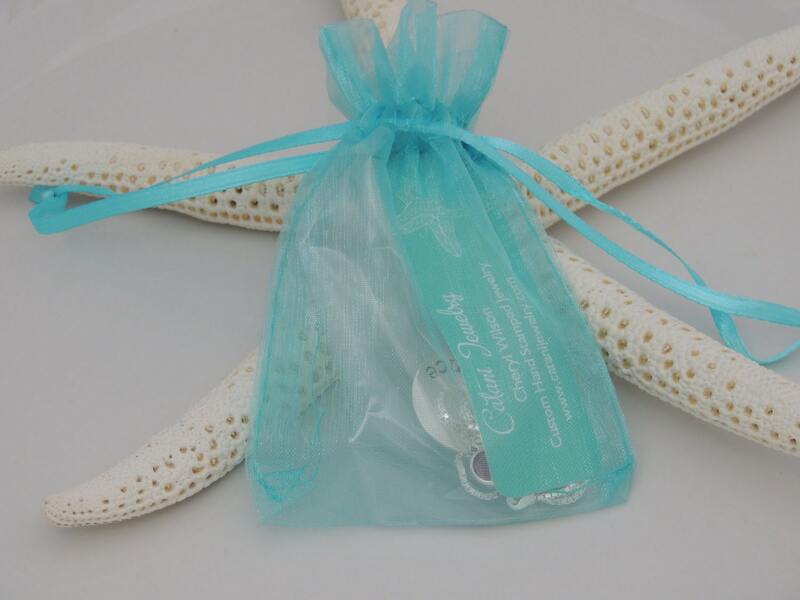 Choose from a cross, sand dollar, sea shell or heart. 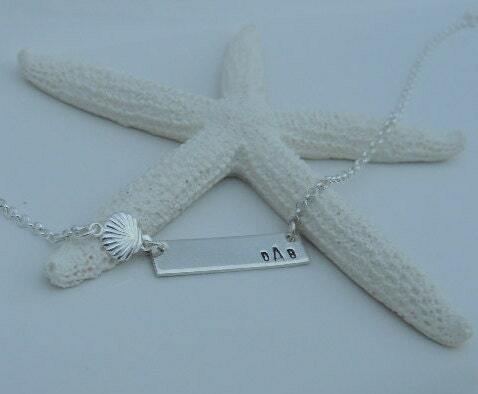 The necklace includes a sterling silver rollo style chain in your choice of length. The necklace will include a 2" extension (adjustable in 1" increments). 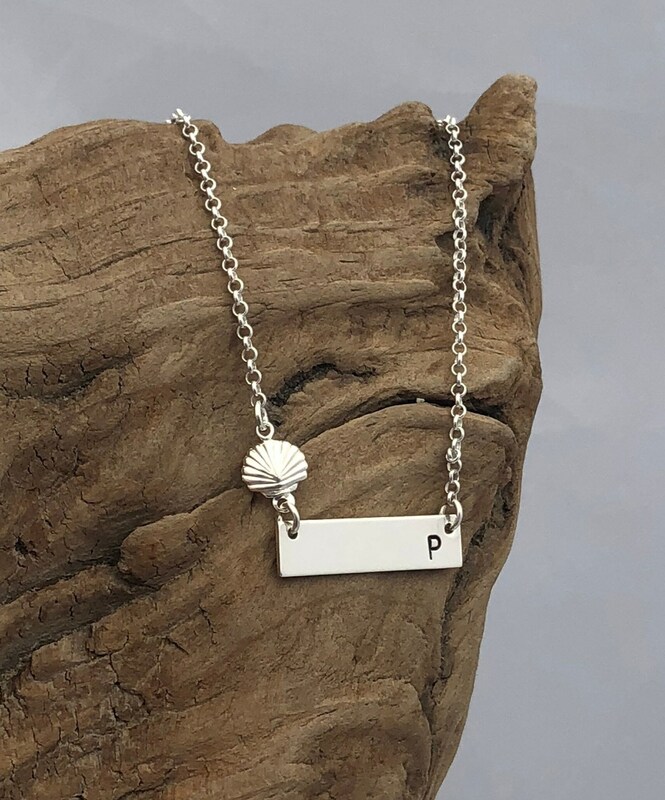 At checkout, please leave me a comment in the "notes to seller" section at checkout with initial or initials you would like hand stamped. Please be sure to type them in the order you would like them stamped. Thank you.